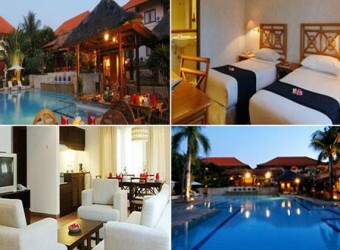 Bali Hotel All suite type Goodway hotel is located between Jimbaran and Nusa Dua. There a free shuttle bus to Kuta and Bali Collection Nusa Dua. All rooms have living room, kitchenette, balcony and garden.